It doesn't matter how long I've lived in the Midlands for (almost 12 years), I still have a lot to learn about this fair county and surrounding area. 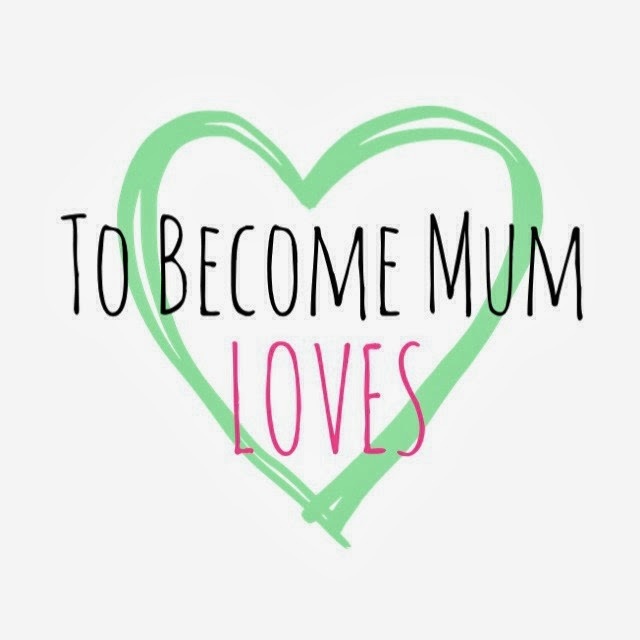 I have loved days out visiting castles, museums, gardens, the seaside and zoos for as long as I can remember - something my parents actively encouraged with annual coach trips and days out in the car - and this is something I very much want to pass to Ethan. 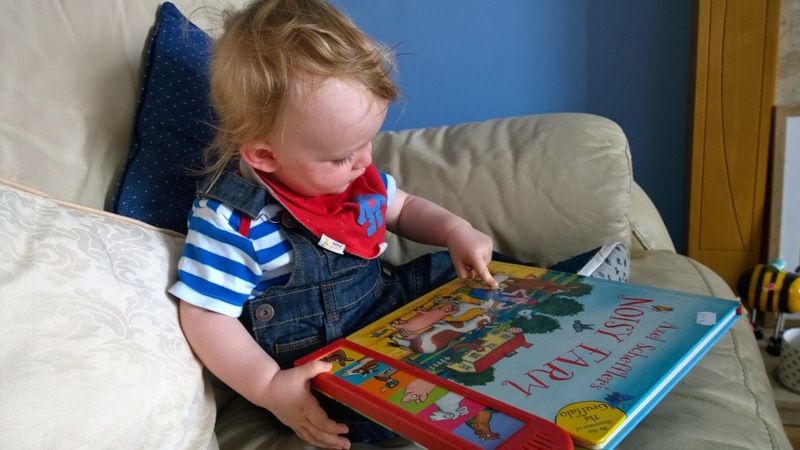 He may only be 15 months old but to him, everything around him is fascinating and I want to nurture his natural interest as much as possible. So, eager to start our adventures into the big wide world, I need to get to know the area, and towns nearby, so that we can find new and exciting places to visit. That's how I came across the National Forest Adventure Farm. Now, I have always loved animals (we had six cats, six fish, two rabbits and over 100 birds when I was younger) and Ethan seems to as well. He loves our dog and two cats and recently has become particularly interested in farm animals, from some of the toys he likes to play with. When I discovered the Adventure Farm, I knew it was somewhere Ethan would really enjoy. And it was. We packed up our things, picked up my Mother-in-Law and headed out for a family day of fun on the farm. 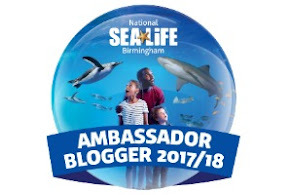 The National Forest Adventure Farm can be found just off the A38 near Burton Upon Trent, so less than an hour's drive from where we live in north Birmingham and not that far from Solihull, Wolverhampton, Stoke On Trent, Stafford, Derby, Nottingham or Leicester either - so an easy to get to location and an attraction well worth visiting if you are looking for a fun day out with lots to do or somewhere to go to keep the kids occupied this summer holiday. The sun was shining and we were excited to explore the farm. Louise from the team greeted us when we arrived and gave us a quick tour so we could see everything the farm had to offer. It was nice to hear that its a working farm and as such it's open all year round, except for Christmas and New Year, and the whole feel of the farm was really relaxed and not overly commercial at all, like to many other places. We were really amazed to see how many different things there are to do, for children of all ages. 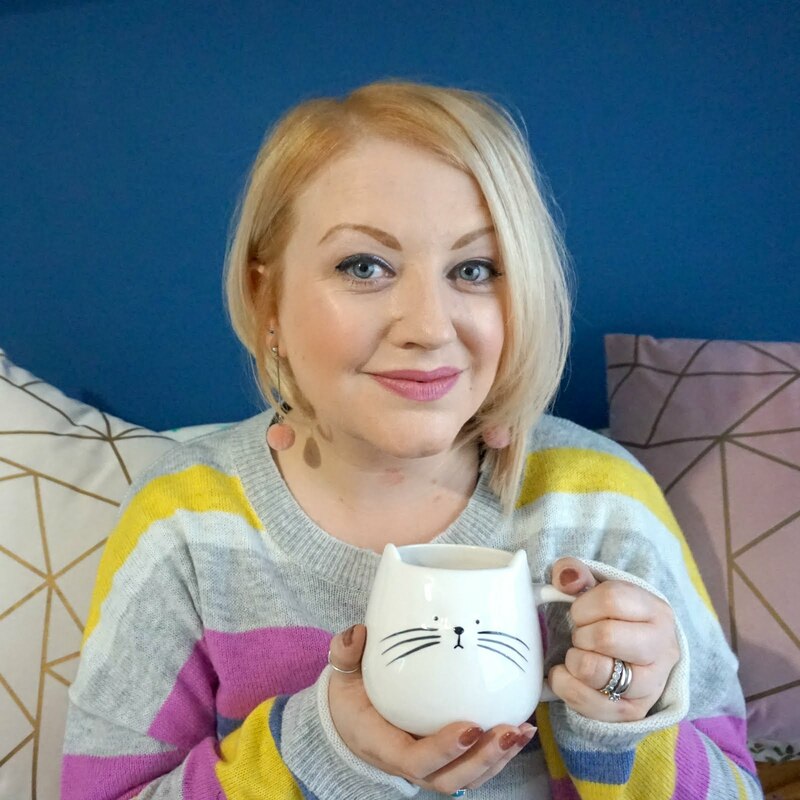 I'd read about the incredible Maize Maze, which is one of the largest in Europe and had reached eight foot in height when we visited, and we obviously knew to expect lots of different farm animals to see, but we didn't realise there were so many other activities. There's lots to do outside; go-karts, sand pit, mini assault course, crazy golf, kitchen garden, barrel stampede jumping pillow, archaeologist dig, water splash-out, under 7's play area, pirate ship play equipment... phew!... Then in the courtyard, there's mini quad bikes, tin can alley and skittles, PLUS you don't want to miss out on the tractor and trailer ride. But there's also a great range of things to do inside, should the weather take a bit of a turn or you need a break from the sun; there's a 3,000sqm indoor play barn, across three levels, huge slides plus an area for under 5's to play and giant Lego. 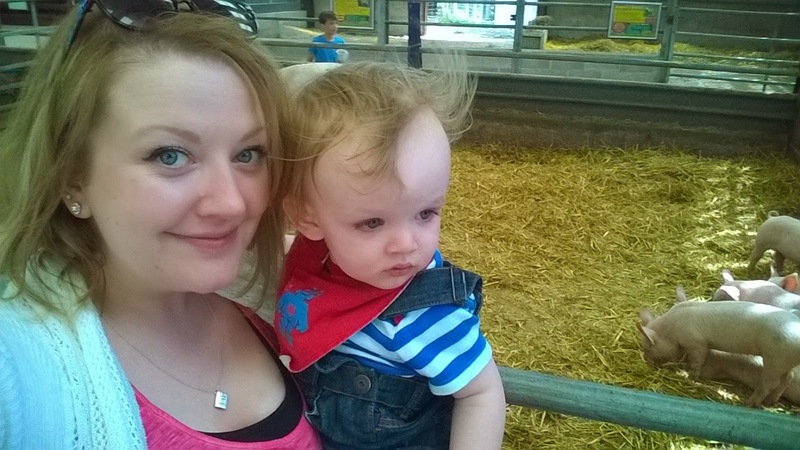 We took a stroll around the fields to see the hogs, sheep, goats, cows, alpacas and ponies. We gave them some feed and Ethan seemed rather amazed by all the animals. We then headed over to the Maize Maze. 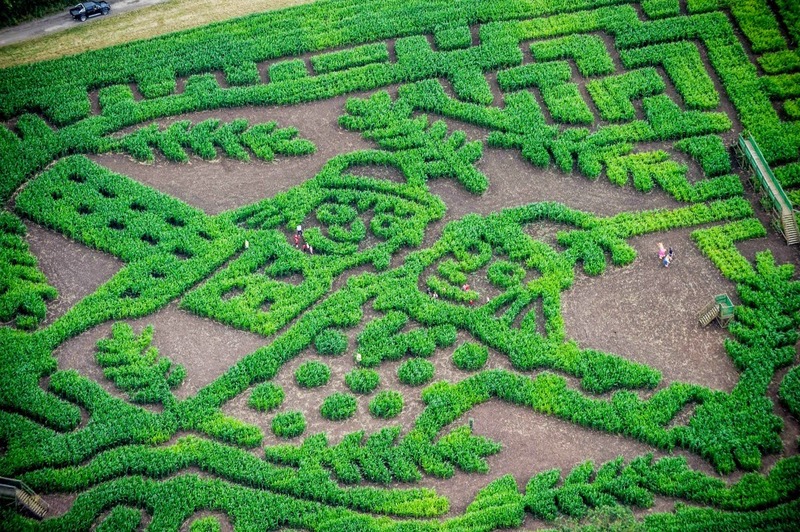 There's the big maze, which this year has been made into the shape of two scarecrows to celebrate the launch of the Gruffalo writer Julia Donaldson's new book, 'The Scarecrow's Wedding'. Then there's a smaller maze to tackle if you're not feeling quite so adventurous, and they give you a flag on a stick in case you get a bit lost and need some help (brilliant idea!). Like with so many of the activities, the maze is free to enter. This was a huge plus point for me; once you pay your entry ticket price, you don't have to keep opening your purse and spending a whole load extra. A few of the activities do have a price, but this tends to be only a £1 or so and the majority are included within the price of your ticket. We then wanted to see what all the scarecrow fuss was about. It was pretty hard to miss the scarecrows as we arrived and we soon learned that the Adventure Farm is currently doing something rather special. 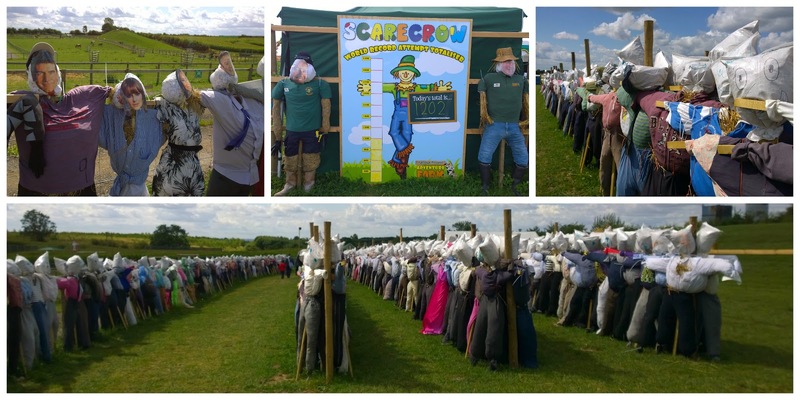 Throughout this summer, the Adventure Farm is attempting to beat the Guinness World Record for scarecrow making, with the aim of making 3,312 scarecrows in one field by the 7th September. When we stopped by, they had just made number 1,202 so they're doing well and I'm sure they will achieve the record before long. Visitors can head over to the scarecrow tent to join in and we watched the team put together some fantastic scarecrows to add to the field. We even spotted the whole X-Factor 2014 judging panel! It's a really fun thing to do and a great thing to be a part of, particularly if the farm achieves the world record. You can bring your own clothes along and everything else is provided by the farm or it's just £1 for the lot. 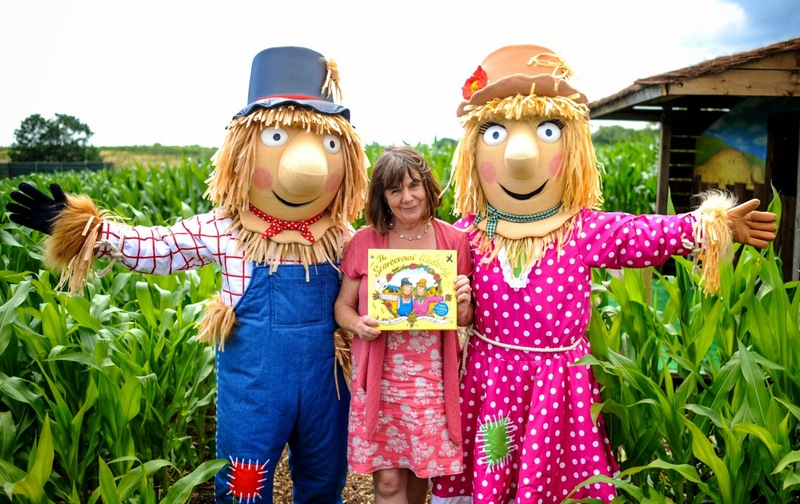 You then get to have your photo taken with your scarecrow and you can follow the farm's progress on the website or on Facebook and Twitter (or search #ScarecrowWorldRecord). After taking a look at all the weird and wonderful scarecrow creations, we stopped for a bite to eat at the courtyard. There's a good choice of quick and easy food and the prices are reasonable, but there's also a restaurant inside which has a wider menu. However, if you want to bring your own food, which we had done for Ethan, there's plenty of picnic benches to sit at and several families were sitting out on the grass enjoying their lunch. We then headed to the animal barn where there were pigs, cows, reindeer, guinea pigs, rabbits and chicks hatching before our very eyes. Ethan was really taken with the barn and pointed enthusiastically at everything. It was great to see so many animals up close and there were some piglets which had only been born the day before, which was an added treat to see. There's lots of demonstrations going on each day so children can learn more about the animals and how to care for them and all the staff are really friendly and happy to talk to you about the farm. Ethan was pretty worn out by this point so he didn't get the chance to play in the indoor centre, although many other children were bustling around jumping, sliding and running around! 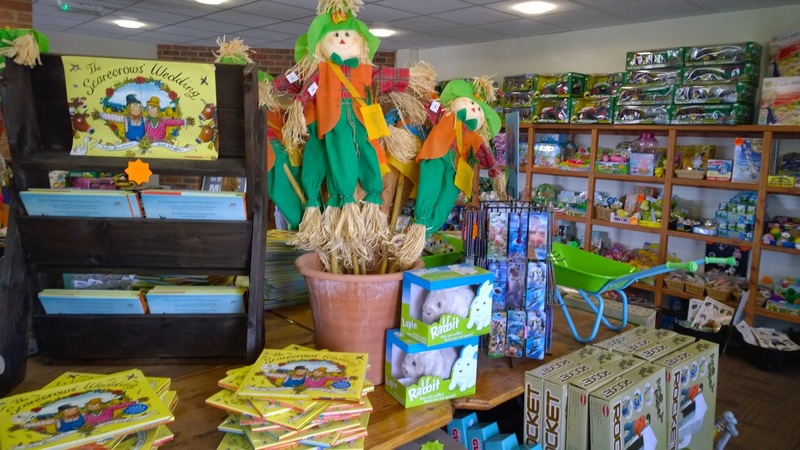 Any trip out has to end with a visit to the gift shop and Ethan's Nanny was keen to buy him some mementoes of his time on the farm, including 'The Scarecrow's Wedding', a farmyard jigsaw and a noisy farm play book. We had such a lovely day and Ethan promptly fell asleep in the car. The National Forest Adventure Farm really has so much to offer and we will definitely be going back soon. You can hire the farm for parties - something I'm really excited to do in the future! - and there's an annual pass for £45 so you can come back again and again. I just know that as Ethan gets older, he will take more and more away from his visit to the farm and it's great to have such a fun, varied attraction on our doorstep to enjoy. 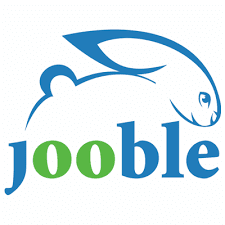 Ticket prices are just £9.75 per person at peak times of year for a whole day of activities - farm, animals, playground and indoor play area - plus under 2's go for free. 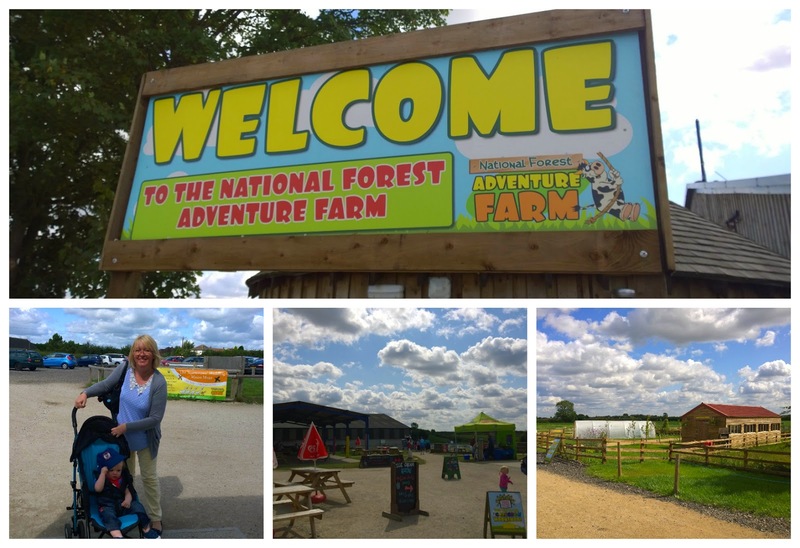 As I mentioned, it's open every day from 10am to 6pm so if you're in the Midlands, or just a short drive away, the National Forest Adventure Farm really is fun for all the family and super value for money so well worth a visit. *Note: the nice people at the National Forest Adventure Farm asked if we would like to visit them so of course, we jumped at the chance! We really did have a great time and we're keen to go again soon. 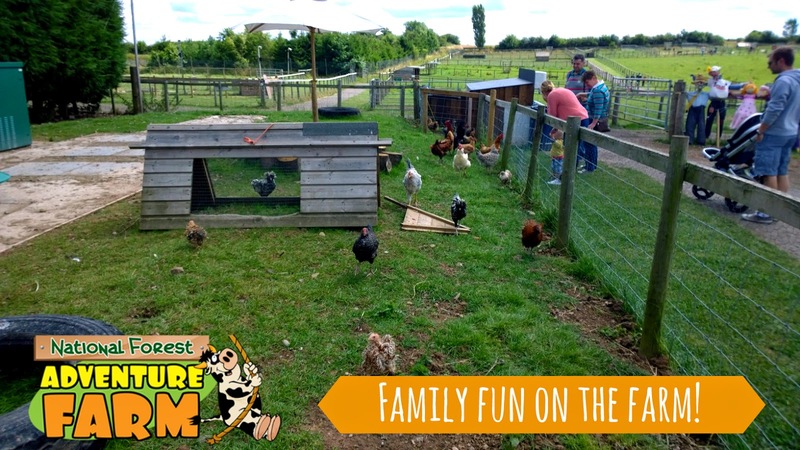 I would recommend the farm to anyone who wants a fun and educational day out - it really has so much to offer. We were here to attend a wedding, for dinner we had shrimp and prime rib. Everything was good at the vow renewal location and the service was extremely fast.